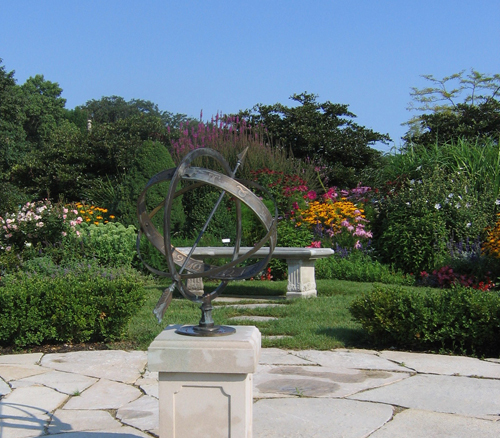 Click to watch a 2010 video about the Deerpath Garden Club. 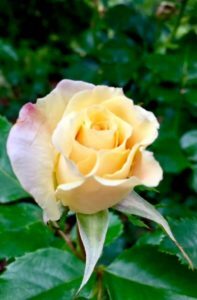 In 1960, the Deerpath Garden Club of Lake Forest was formed by friends in the Lake Forest/ Lake Bluff area to share their love of horticulture, to promote civic beauty and to educate themselves about landscaping, plant life and the art of floral arranging. From those simple beginnings, a vibrant group has blossomed. Over this period of time, the Deerpath Garden Club, a member of the Garden Clubs of Illinois and the National Garden Clubs, has become a philanthropic force, donating tens of thousands towards beautification projects in the immediate community, as well as providing significant funds for beautification projects of other worthy entities. 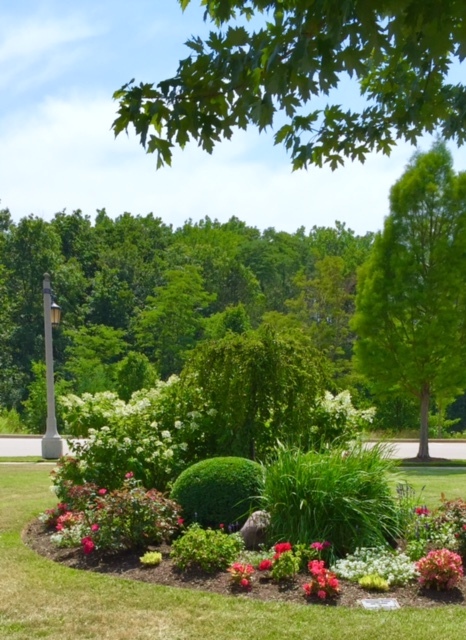 Deerpath Garden Club’s most visible project is the design and maintenance of its award winning Telegraph Gardens in the club’s “group back-yard” at the west train station on Telegraph Road. All who visit this garden enjoy its serene charm which is always evolving. The idea for the garden was conceived in the early 1990s when this small club found itself both with an abundance of philanthropic funds, and a community site in sore need of beautification. The entrance to the then newly constructed West Lake Forest Train Station held a promising blank plot of land for the club’s talented member design team. It was the largest single club undertaking in its history. 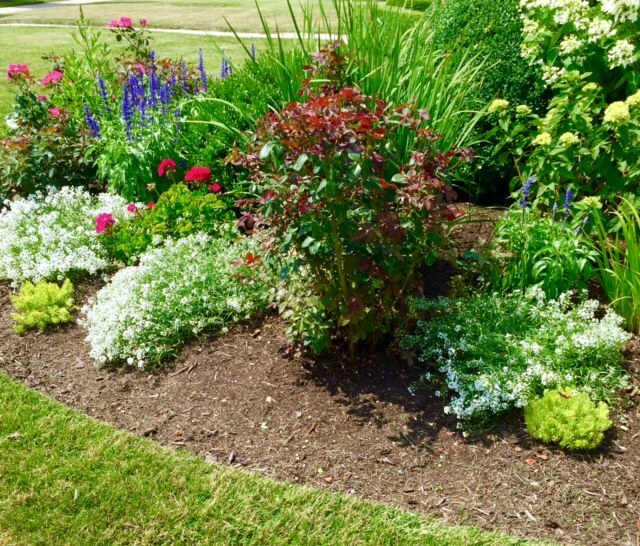 In partnership with The City of Lake Forest, the garden began as two modest, hand-dug, kidney shaped gardens laden with spring-flowering bulbs, but has evolved into large plots of beautiful annual and perennial plantings which are maintained weekly by the active club membership in teams of two. The club’s efforts were rewarded in 1994 with a Design Critics’ Council Award for outstanding design. 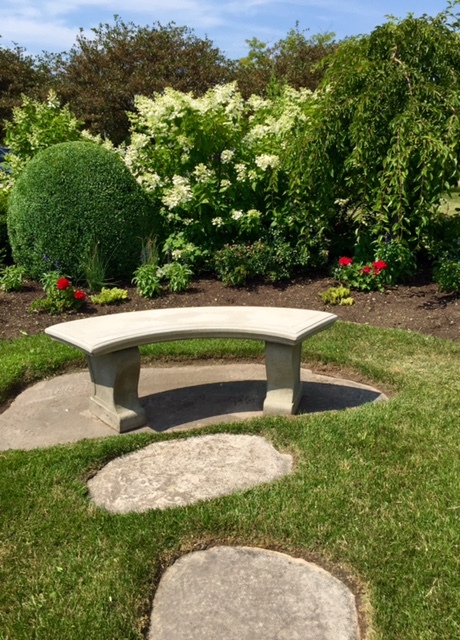 In 2006, the club provided funds for a limestone walkway, terrace, and limestone benches which enhance the site’s “English garden” ambience. The gardens were re-dedicated in June 2007. October 2008 brought more accolades to the Telegraph Gardens. Lake Forest Garden Club’s annual Civic Award for outstanding contribution to the beautification of Lake Forest was presented to the Club for continued work on the Telegraph Gardens. This award previously was awarded to the Club in 1979. In 2014, the Deerpath Garden Club of Lake Forest installed and dedicated a Blue Star Memorial Marker at the south end of the garden. Blue Star Memorial Markers are to honor the men and women who have served in the armed services. Featured speakers at our dedication included city officials and our most honored guest, former astronaut Captain James A. Lovell. The next year, the club planted a series of trees on the station’s platform. In addition to the train station garden, the club worked with Lake Forest youth at CROYA (Committee Representing Our Young Adults). Deerpath Garden Club members have joined forces with these young adults to create a beautiful landscape around the newly constructed CROYA youth center. In Fall of 2008, our club and CROYA members participated in “Bulbapalooza”, the planting of 4,000 spring bulbs. Other projects include our partnership with Elawa Farms where we have sponsored summer interns contributed to their plantings and more. Click to contact us for further information.